4himpaintings: Fly! Soar with the King! He’s Got your back! Recently I came across scripture In Exodus 19:4: 'You yourselves have seen what I did to Egypt, and how I carried you on eagles' wings and brought you to myself. Through Research I learned that the Parent eagles when teaching the young to fly and when the young is still in the new stages of flying until they leave there parents, the parent eagle fly’s underneath their young spreading their wings protecting them from predators and guiding them alone the way and catching them by their wings. The parent eagle is willing to take the first hit by predators and be by their young when in flight until they are old enough to fly on their own. I bore you on eagles’ wings, a high expression of the wonderful tenderness God had shown for them. It is explained, Deut. 32:11, 12. It denotes great speed. God not only came upon the wing for their deliverance (when the set time was come, he rode on a cherub, and did fly), but he hastened them out, as it were, upon the wing. He did it also with great ease, with the strength as well as with the swiftness of an eagle: those that faint not, nor are weary, are said to mount up with wings as eagles, Isa. 40:31. Especially, it denotes God’s particular care of them and affection to them. Even Egypt, that iron furnace, was the nest in which these young ones were hatched, where they were first formed as the embryo of a nation; when, by the increase of their numbers, they grew to some maturity, they were carried out of that nest. 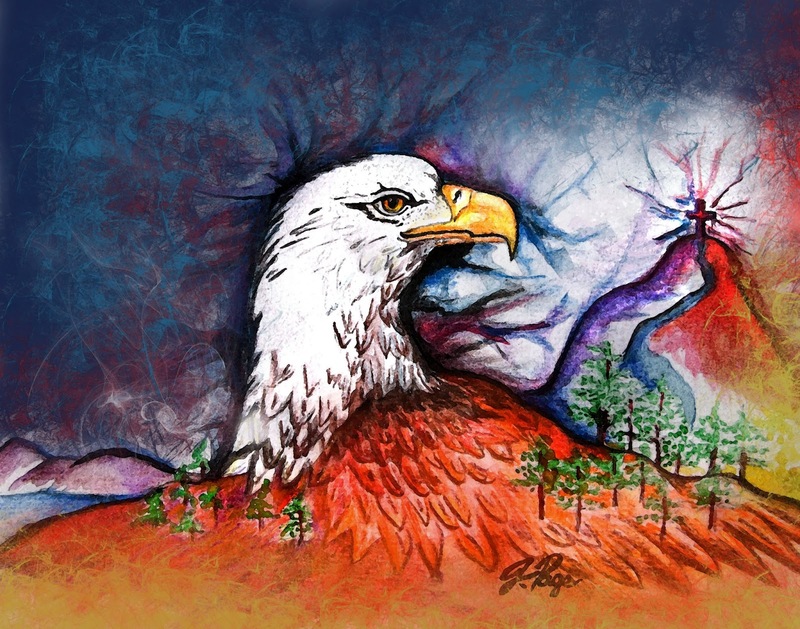 Other birds carry their young in their talons, but the eagle (they say) upon her wings, so that even those archers who shoot flying cannot hurt the young ones, unless they first shoot through the old one. Thus, in the Red Sea, the pillar of cloud and fire, the token of God’s presence, interposed itself between the Israelites and their pursuers (lines of defense which could not be forced, a wall which could not be penetrated): yet this was not all; their way so paved, so guarded, was glorious, but their end much more so: I brought you unto myself. They were brought not only into a statue of liberty and honor, but into covenant and communion with God. Henry, Matthew, Matthew Henry’s Commentary on the Bible, (Peabody, MA: Hendrickson Publishers) 1997. Then I wept thinking how much God loves me. How when I need a mentor He is right their teaching me. Or he connects me with Mentors willing to teach and train me as I’m a teachable person so that I can be right with God and impart to others more effectively. God knows that I’m a visual hand’s on student. Learning by seeing and doing hands on in the experience. Some people read instructions first and get it, while others learn just by watching. And so on. God made all of us unique on how we learn, function and what we give back to this world through God’s love. I have learned that I am still discovering who I am in the uniqueness that God made me to be and where I’m headed. But one thing is that I have a dream. And I see my future ahead even if only in part. I dream big because God is big. I’m sure God is probably saying dream even bigger still. As a prophetic person who still feels like a student in the prophetic, I see myself as an eagle learning to fly, and now I know more than ever that I’m not alone in flying in both learning and when I do mature in my gifting because I will be in the company of like minded people to be Iron sharpen Iron to me and to them being held accountable and under right covering. God put a love of encouraging others in me to pull out of them the seed hidden within them that was placed there to be revealed so that seed can grow and blossom. He has blessed me with having different Mentors here and there to encourage me along the way these past 9 plus years or so when I started to go deeper on the prophetic through people that God connected me with to grow that seed in me. I’m still a growing tree in the river of God as he faithfully teaches me and connects me with his Mentors. Jesus my King is my Ultimate Mentor/Teacher. He sent his Holy Spirit to help me. To teach me knowing that my heart wants to change the world through God’s love and be apart in that end time army. ~ Apart of the Voice of the many voices crying out in the wilderness preparing the way for the Lord’s return. That He won’t leave you hanging. He will give you what you need and what he placed in your heart so that you can see the desires of your heart manifested. Are you in need of a Mentor, a student seeking a teacher? Ask God. He will send the right ones as well as Lead you for HE is the Ultimate mentor. Having a mentor helps you create a learning culture in your life, they’re a source of support and advice, they encourage you to formally set goals, they give you inspiration and a different perspective, and they help you expand your network. Are you a Mentor? Then I encourage you to keep leading, teaching and training because they will get it. Thank you by the way for mentoring as I know how much I’ve needed them and still do. 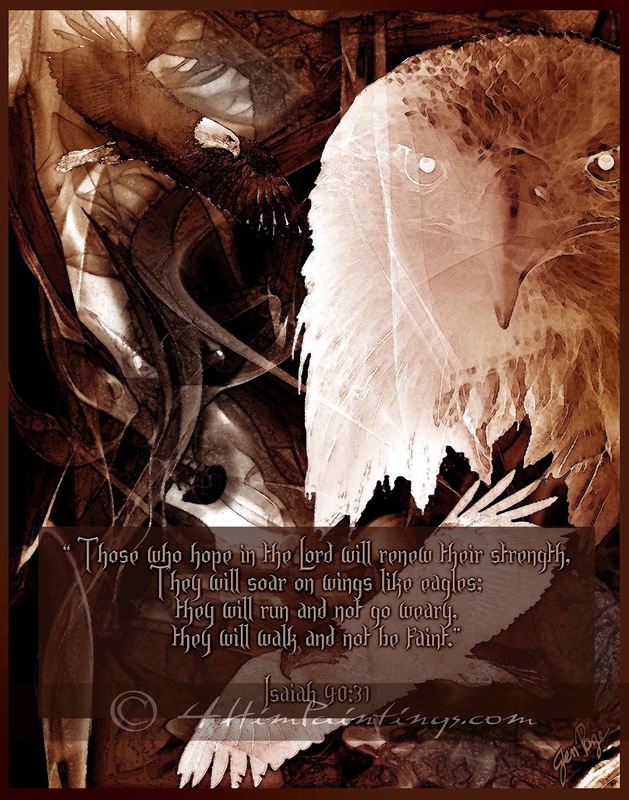 Scripture Picture: "Those who hope in the Lord will renew their strength, they will soar on wings like eagles: They will run and not go weary, they will walk, and not be faint."